They say it takes a village to raise a child, and in that same sense that’s how Big Shoulders Fund looks at education. When searching for new ways to ignite classroom science, technology, engineering, and math (STEM) instruction, Big Shoulders knew it could not be done one school at a time. The STEM Initiative includes teacher professional development, direct in-classroom coaching, administrator supports, curricular implementation guidance, and family education. 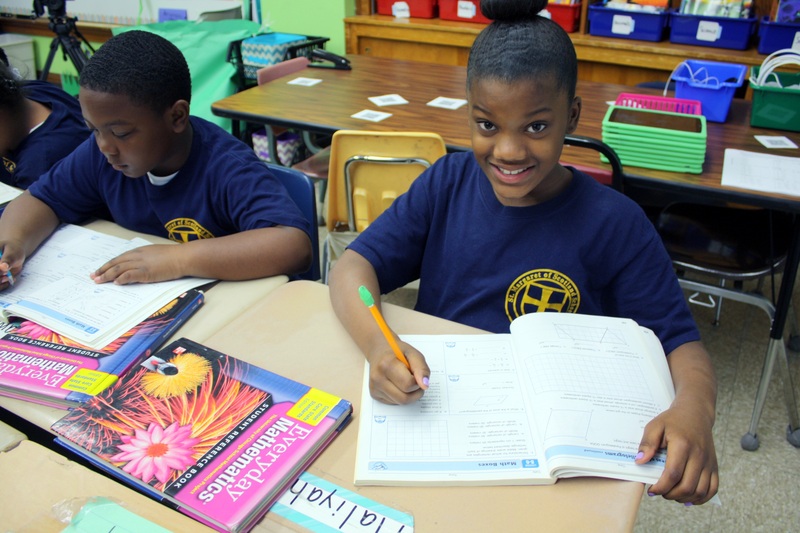 A part of the overall STEM initiative is the Big Shoulders Fund Math Initiative (BSFMI) which works with 13 schools across Pre-K through 6th grade to promote high-quality mathematics instruction. This year, the work has expanded to a larger network that includes middle school and high school teachers. 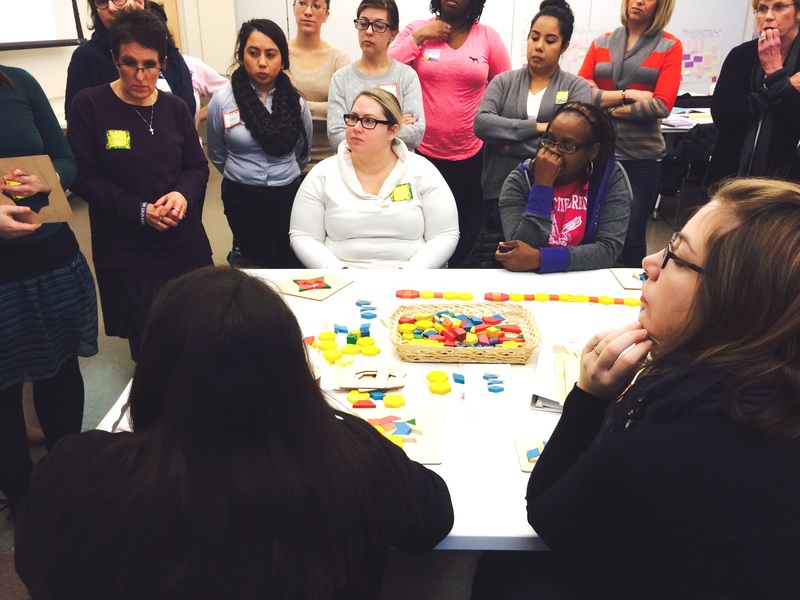 “I think what is great about this initiative is that it unites math teachers not only in one school, but across a network of schools,” says Sara Burnworth, Big Shoulders Fund Instructional Math Coach. BSFMI aims to establish a community of educators who work together to improve mathematics teaching and learning. 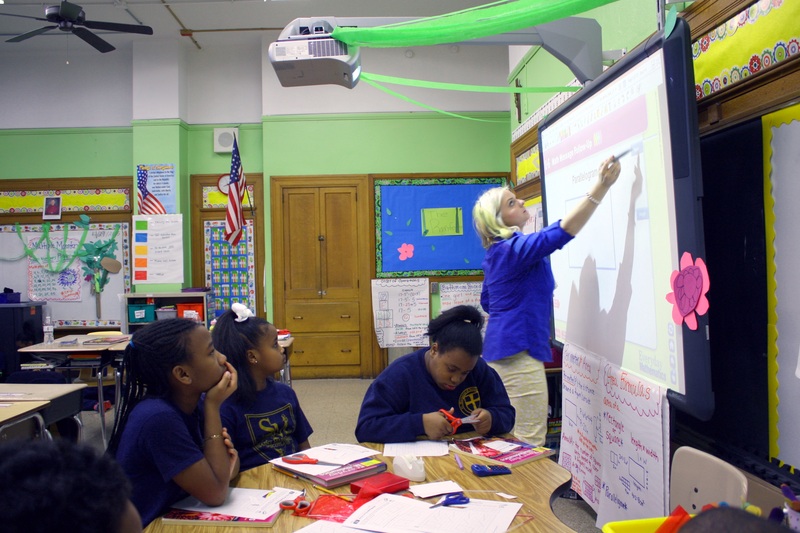 Participating schools use Everyday Mathematics, a high-quality, researched-based curriculum that is aligned to the Common Core State Standards for Math (CCSS-M). Components of the program include: professional development (in-person and online through webinars) for administrators and teachers, creating teacher leaders at each school who attend professional development aimed at building leadership capacity in math instruction, in-school coaching support by the Center for Elementary Math and Science Education at the University of Chicago (CEMSE) staff, creating Power Users at each school who attend professional development around implementing technology in math instruction, and building a network community of math teachers. accurate representation of what a normal day looks like. After the observation, all the teachers come together and review the outcomes for students. No one talks about what the teacher did – the main focus is whether or not the students met the mathematical goals of the lesson. “If they didn’t,” says Burnworth, “the teachers discuss why they think the students didn’t understand, and help the host teacher plan out how to support those students.” All of Big Shoulders Fund academic programming focus on being both in-depth and practical. Meetings provide math teachers the opportunity to talk to another teacher at their grade level. When working in schools as small as ours, many with single grade classrooms, this can mean a lot. “Teaching is very complex, but also isolating,” says Burnworth, “and so it is always comforting to talk to someone else who knows your grade level and has the same struggles you do in their classroom.” Big Shoulders Fund Mathematics Initiative and Middle School / High School Mathematics Initiative is made possible through support of the Searle Funds at The Chicago Community Trust, I.A. O’Shaugnessey Foundation, Walter E. Heller Foundation, EY, Tengelsen Family Foundation, The Gallagher Family Foundation, Robert E. Gallagher Charitable Trust, CareerBuilder.com, PriceWaterhouseCoopers, as well as Patrons and individual donors supporting this effort.